The stakes of the vacancy on the Supreme Court that Justice Kennedy leaves could not be higher. Make no mistake: Republicans now have the opportunity to erase a generation of progress for women’s rights, LGBTQ rights, civil rights, workers’ rights and health care. This week marked six years since the Supreme Court upheld the Affordable Care Act as the law of the land, ensuring quality, affordable health care for millions of Americans. But with the chance to rewrite the Court, Republicans could now even succeed in their vicious lawsuit to strike down life-saving protections for people with pre-existing conditions. 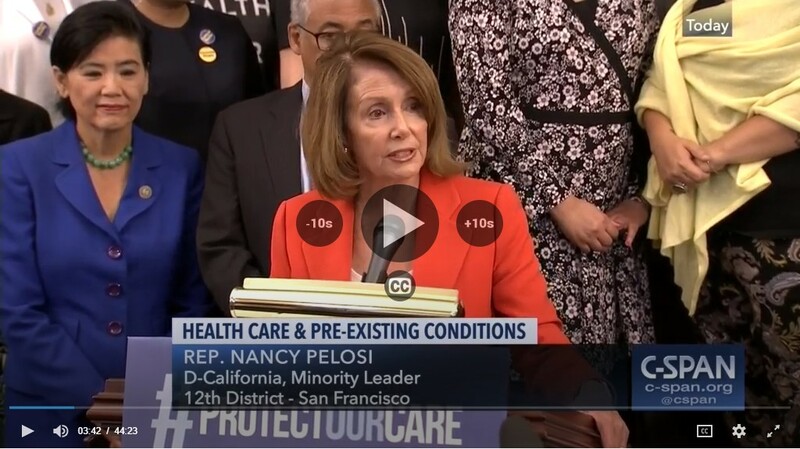 Congresswoman Pelosi held a press conference to highlight the importance of the Affordable Care Act’s key provisions protecting people with pre-existing conditions. If they get their way, they will drag us back to the dark days of discrimination against the 130 million Americans who have a pre-existing medical condition. At least 68 million women and girls would face a future of higher costs and worse care, and little children could be deprived of affordable care for their entire lives, just for being born with a health condition. Democrats will continue to fight to give the American people A Better Deal, with Better Jobs, Better Wages and a Better Future, with lower health costs and better care for everyone. The Supreme Court also handed down a radical ruling this week that trampled over the basic rights and freedoms of 17 million public workers. The Court’s decision to reverse decades of precedent will have drastic, destructive and long-lasting impacts on all hard-working Americans’ good-paying jobs, wages, health care, retirement and workplace conditions. The men and women of labor are the backbone of the American middle class and of our country. But with sham lawsuits and legislative attacks on the basic rights of workers and unions, Republicans continue to stack the deck further for their corporate donor friends and against working men and women trying to earn a decent living. Democrats are fighting to give the American people A Better Deal that safeguards every worker’s right to a fair shot in today’s economy, by strengthening workers’ freedom to negotiate through unions for better wages and quality of life. We will never stop defending the transformative impact and progress that our brothers and sisters in labor continue to make to our nation every day. My office recently assisted a constituent who was experiencing issues with mail delivery from the United States Postal Service (USPS). He had contacted our office because his building’s mailboxes were stolen, and he had been unable to reach USPS regarding installing a replacement. Therefore, my office contacted USPS on his behalf and conveyed the details of his situation. As a result, the matter was looked into and a replacement was installed, along with a postal lock. His building will now be able to receive mail. Caseworkers in my San Francisco office work to address any problems or concerns you may have with a federal government agency. To submit a Casework Authorization Form, please visit my website. Please feel free to forward this information to your family and friends. To learn more about these efforts, to express your views, or to sign up for email updates, please visit my website. 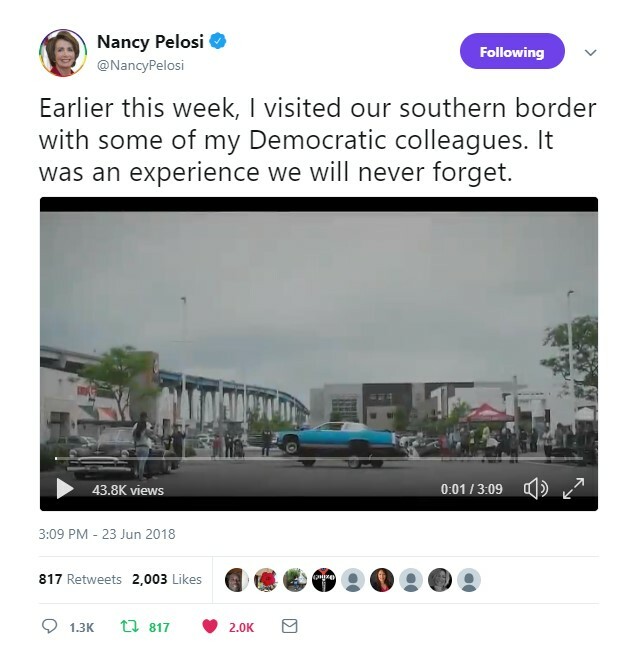 I am also on Twitter at http://twitter.com/NancyPelosi.